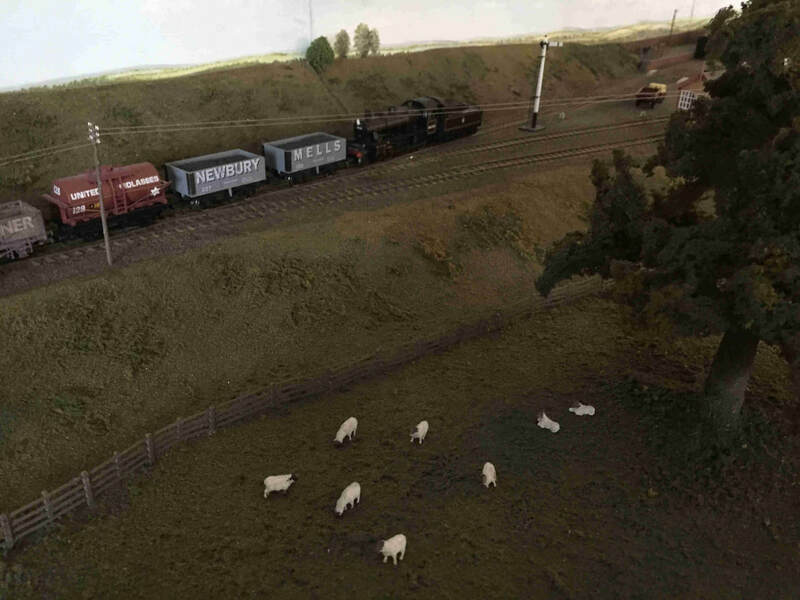 "Lambourn" was a copy of the 1930’s Berkshire GWR branch with the model featuring the station area. It spent many years touring the Home Counties last century! The track & points are hand made. After being stored in a damp garage for many years it arrived in Devon to be renovated, rewired & updated to become a 1960’s WR terminus. To increase operator & viewing interest we decided to add a larger signal box, working semaphore signals & restored the engine shed. It is DC but sectioned so several engines can be on site at the same time. This is an excellent layout & should prove even more popular at shows in the South & West than when it was shown in it’s original form in the Home Counties.